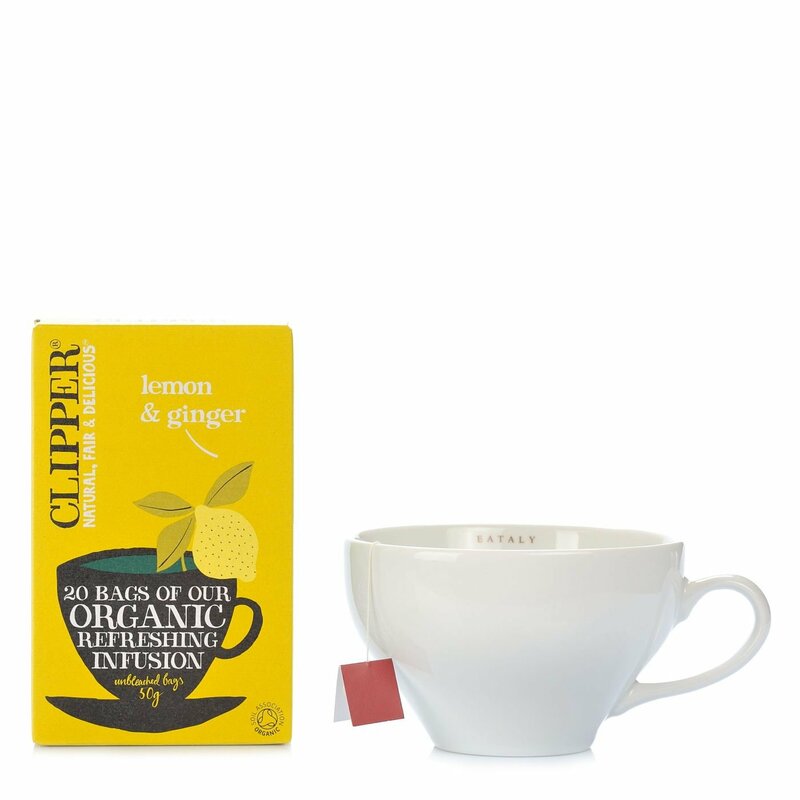 Clipper Lemon and Ginger Infusion offers a well-balanced perfume of citrus and fresh ginger. Specially for those who love a warm and spicy drink with a pleasant dash of zest. Naturally caffeine-free, it also makes a refreshing drink when served cold, or is ideal for the chilly winter days and evenings. Ingredients lemongrass* (Cymbopogon nardus), ginger root* (15.5%), liquorice root* (Glycyrrhiza glabra), lemon rind* (12.5%), natural lemon flavouring, natural ginger flavouring. Contains liquorice - people suffering from hypertension should avoid excessive consumpti For more information on product labels, please contact our Customer Service department. The information on the labels of the products may vary for reasons beyond our control, therefore, there may be discrepancies between the information on the site and that on the products delivered. Please always check the information on the product before consumption or use.